I have been caught more than once unprepared for Halloween Night. I am not one to plan elaborate Halloween family costumes after a popular cartoon or sew home made dresses and tutus. Instead, I’m a last minute, grab what I can kind of gal. 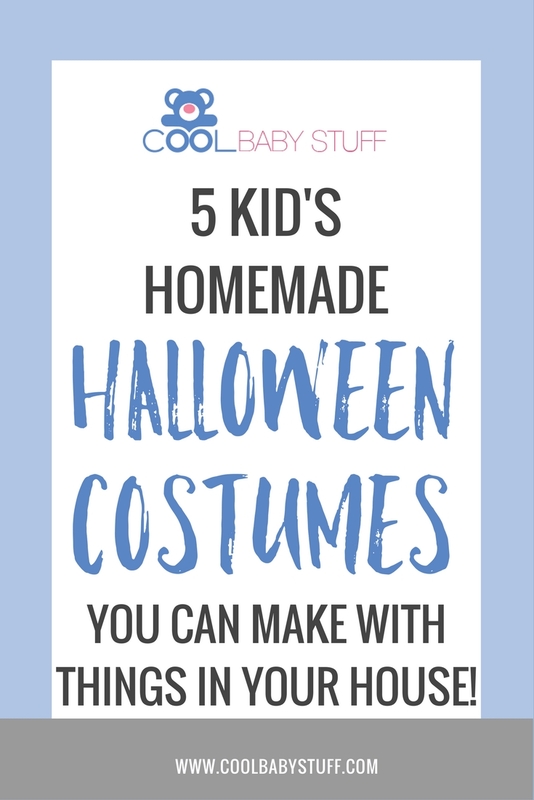 So, when I spotted these DIY Halloween costumes for kids that I can make with popular household items, I was thrilled. You’ll find that these picks are simple, easy to assemble and very inexpensive. Stand the grocery bag upside down on a table and cut out holes for the arms at the top. Then, make four pockets using your other grocery bag. Simply cut a shape similar to a tall house (a pentagon) and fold into thirds. Finish the pockets with a button using your hot glue. For the binoculars, hot glue two toilet paper rolls together and attach string. To make this shark costume begin by cutting out two large pieces of white fabric and attach them to the front of the jacket. Then cut out triangles for the shark’s teeth and apply all the way around the hood. Next, for the eyes, hot glue buttons on either side of the hood. Finally, use the cardboard from the cereal box cut and out a large triangle for the fin. Glue white fabric to either side of the cardboard and attach it to the jacket with hot glue. This is probably the easiest DIY Halloween costumes for kids I’ve seen! This costume only requires two items: an umbrella (preferable a large sturdy one) and stuffed animals from that large bin of animals in your playroom. Attach with hot glue or a needle and thread if you’re feeling crafty. Tip: if you don’t want to use your own stuffed animals, make a quick stop at your local thrift store and you can bet they’ll have all the cats and dogs you could hope for. This costume is about as easy as it gets! Apply red duct tape to the side of each pant leg and in three horizontal lines across the chest of the shirt. Use your hot glue gun to attach the money or buttons at the end of each line of duct tape. Finish by rolling up the cardboard and sizing it to your child’s head. Attach shoelaces or stretchy string to keep the hat on your child’s head during all of your child’s trick or treating shenanigans. Begin by hot gluing the sparkly ribbon to the ankles of the leggings and on the neckline of the tank top. Cut out semi circles of assorted blue felt and apply to the tank mimicking fish scales. Cut equal sized strips of streamers and hot glue so that they hang from your child’s mid torsos to just above their knees. If you have the time and supplies embellish a princess tiara with some cut fabric to match your top OR make a sea star necklace with some yellow paper, sparkles and a dowel rod. 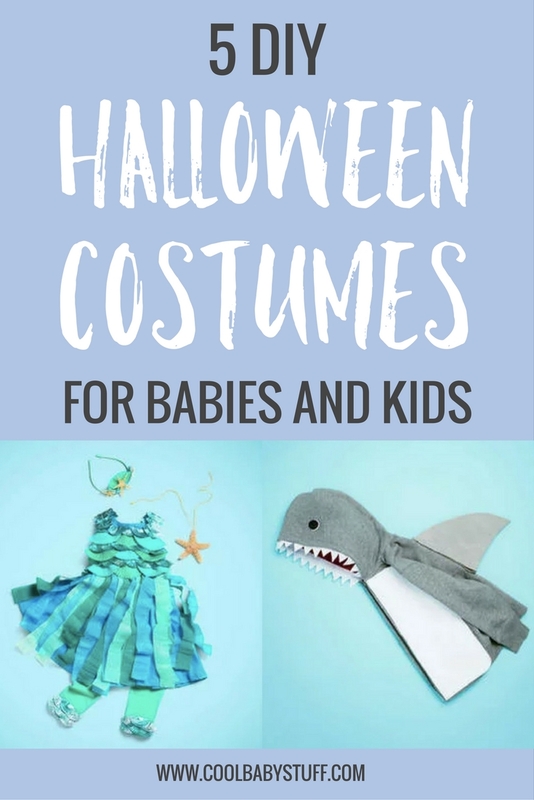 These are just a few of the easy DIY Halloween costumes for kids that caught my eye as I was browsing for my children but there are SO many more to be discovered. Happy Halloween! May your kids trick or treat bags overflow.